Finding the best dog tear stain remover for your dog starts with selecting a safe and effective formula. Many different dog breeds can suffer from excess tearing and tear stains, which can cause discomfort as well as discoloration and staining on their eyes, faces and coats. 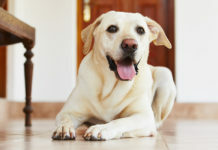 In this article, you will learn about various dog tear stain remover products. It is always wise to talk with your dog’s veterinarian about the best dog tear stain remover for your dog’s specific eye health needs. Tear stains, or epiphora (“ep-ee-four-uh”), can be triggered by a number of canine health issues. and too-large or too-small tear ducts. Why are Tear Stains Red? The actual color stain is caused by a natural compound called porphyrin present in a dog’s tear ducts and saliva. Porphyrin contains iron, which is what gives the compound its reddish color. As your dog’s eyes tear, the porphyrin in the tears builds up around the eye area and gradually causes darkened fur and discoloration. Because tear stains can be triggered by several conditions, it is vital to have your vet diagnose the underlying cause before you attempt to start treating tear stains. What Is a Pet Tear Stain Remover? A dog eye tear stain remover is designed to remove fur discoloration and staining. There are different formulas of pet tear stain remover products. Liquids, pre-soaked wipes and powders are the most common types. You can also use treat dietary supplements if your vet recommends these. A dog tear stain remover can do more than just restore your dog’s coat to its beautiful, natural color. A dog tear stain remover can also help ease irritation and discomfort associated with epiphora. Some formulas may also help reduce future epiphora episodes and even prevent the condition from recurring. The best dog tear stain remover for one dog breed may be different from the best tear stain remover for dogs of a different breed. Reading the dog tear stain remover reviews in this article can give you valuable information while you start your search for the best dog tear stain remover for your dog. 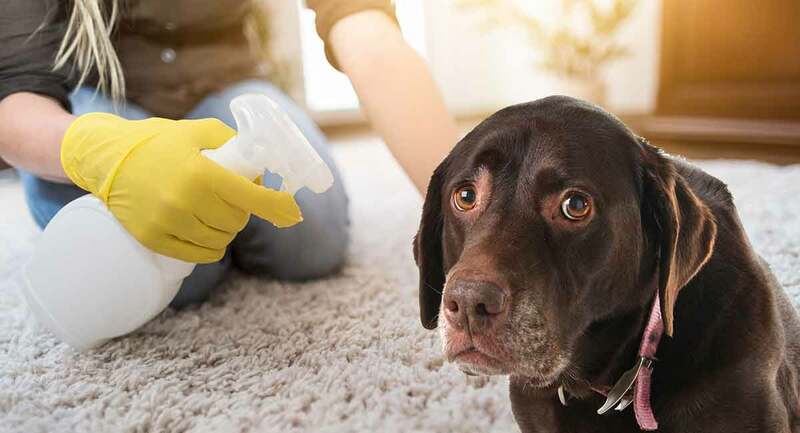 When your dog is suffering with epiphora, you definitely want to find the best safe tear stain remover dogs right away. Choosing a natural tear stain remover for dogs can be a smart decision if your dog has skin allergies or sensitive skin. This natural, gentle tear stain remover formula is pH balanced for your dog’s skin and is free from fragrance, sulfates or coloring agents. It is made in the U.S. and is cruelty-free. This all-natural tear stain remover liquid is free from alcohol, sulfates, parabens and phosphate. The recipe includes plant-based surfactant, water, coconut and palm oil. You can also use it on your dog’s beard and in other areas where the fur is stained. This all-natural tear stain remover features lemongrass and lavender essential oil plus tea tree oil and garlic extract. The non-irritating, gentle formula clears away tear stains and inhibits future staining. 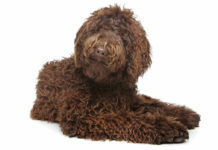 You can use it on all dog breeds. The manufacturer offers a refund program if you are not satisfied. If your dog has existing eye health issues, the best dog tear stain remover may end up being one that is formulated by vets for special health needs. Be sure to ask your vet before using the products in this section just to make sure you are choosing the right one to best support eye healing for your pooch. This formula can help to reduce eye irritation while eliminating tear production and removing other debris that may be trapped in the eyes. This formula can be used on all dog breeds. This eye rinse can be used for emergencies as well as daily tear reduction. This soothing sterile eye wash is made at a human-grade facility and has the same pH as tears. Owners say it really helps soothe eye irritation and reduce/prevent the recurrence of tears. This herb-based formula is safe to use on puppies over six weeks. It can remove tear stains and help to prevent recurrence. Some dog owners find that the best tear stain remover for dogs is in the form of wipes, which are simple to use and dispose of. For smaller dogs, you may want to choose smaller wipes, while for larger dog breeds, a larger wipe may be easier as well as more economical. The active ingredient in these wipes is boric acid along with sodium chloride, sodium borate, sorbic acid and edetate disodium. Pet owners say this product works very well on multiple health issues associated with tear production, including dry eye, eye infections and staining. These gentle non-irritating wipes can remove tear stains and saliva stains from fur. The recipe includes soothing aloe vera gel and vitamin E.
These wipes are completely non-toxic, non-irritating and free from known allergens, fragrances, chemicals and harsh ingredients. The pads are large (3 inches) and easy to use. These pads are safe to use on other stained areas as well as around the eyes. 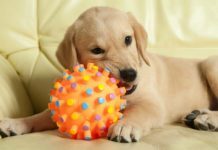 When you are selecting the best dog tear stain remover for puppies, it is always wise to talk with your dog’s veterinarian. Ask when it is safe to begin using tear stain remover on a very young puppy (even if the manufacturer states it is okay to use after a certain age). 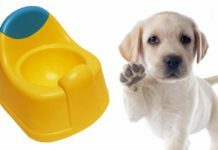 Once your vet gives you the OK, these three products specifically state they are safe to use on puppies and are designed to be gentle when preventing future tear stains. This gentle, all-natural tear stain remover is safe for puppies as well as adult dogs. It contains 26 natural Dead Sea minerals that can actually help prevent future tearing by killing off the tear-causing bacteria. The manufacturer states that regular use of this product can help permanently end tear stains and offers a 30-day money-back guarantee. This all-natural tear stain remover features blueberry and vanilla in a mild coconut oil and oatmeal-based cleanser that is safe for dogs of all ages. It is soap free but can remove both dirt and tear stains. This all-natural tear stain remover formula is free from harsh and irritating chemicals, and is safe to use on pets of all species. It can also be safely used on other areas of stained or darkened fur. The formula includes lemongrass, lavender essential oil and hydrogen peroxide. This is also a good formula to choose for puppies and any dog with sensitive skin or allergies. In addition to dog tear stain remover liquid, powder and wipes, you can also offer your dog special dog treats that are formulated to reduce or eliminate tear stains. These cheese-flavored soft chews are made of herbs and extracts plus lutein and flaxseed in a gentle base recipe of human-grade ingredients made in the U.S. The manufacturer offers satisfaction guaranteed or your money back. These highly palatable soft chew treats contain herbs and lutein plus eyebright and flaxseed in a vet-created recipe that is safe for pets more than 12 weeks old. This product is made in the U.S. in an FDA-approved facility. This U.S.-made, antibiotic (tylosin-free) beef flavored supplement is a powder that you sprinkle right onto your dog’s food. The recipe includes a B-complex vitamin, proprietary herbal blend, Eyebright, lutein, selenium, additional nourishing and calming herbs, zinc, taurine and alpha lipoic acid. We hope you have learned what you need to know about choosing the best dog tear stain remover. The right product for you will boost your pup’s eye health, relieve any discomfort and restore beautiful fur. Let us know which product you and your dog keep coming back to in the comments box! Trying to find EXCEL TEAR STAIN REMOVE PADS for my dog. Please let me know if you carry this brand (the only one that works for my dog) or where I can get it….or let me know if this product is still made.